Client: V2V Acquisitions & Development Co. 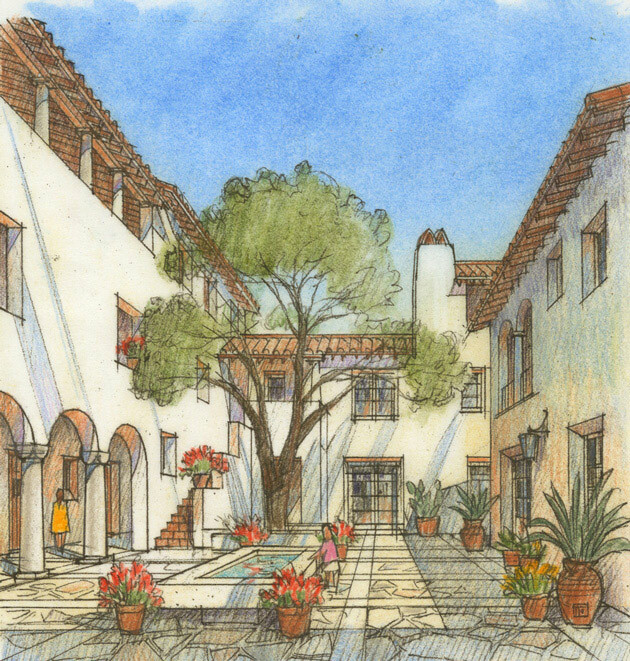 Situated near the historic San Buenaventura Mission in Ventura, California, this project reintroduces the courtyard housing typology of Southern California’s past to bring dignified density to contemporary urban living. 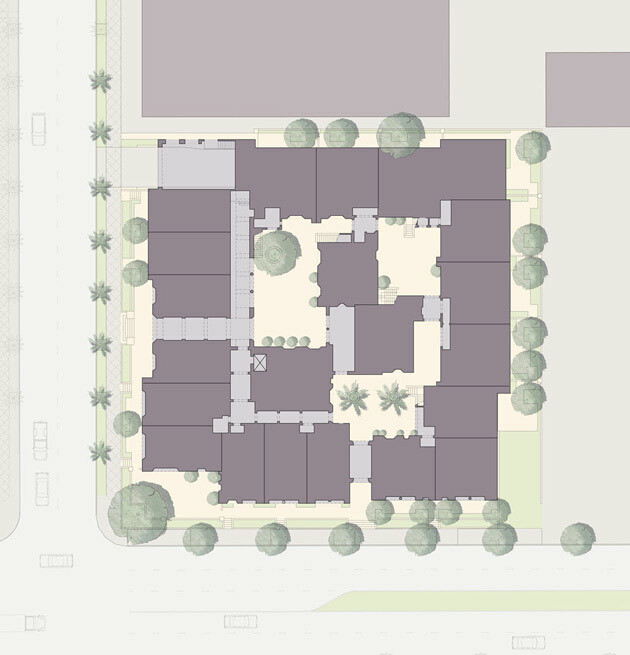 This complex unites and modulates interior and exterior spaces among 41 units over a 50-car subterranean parking garage. The units are arranged in flats and townhouses around three distinct internal courtyards, with a variety of private yards, balconies, decks and patios. Some of the ground-floor street-front units offer the option of two-story live-work lofts. 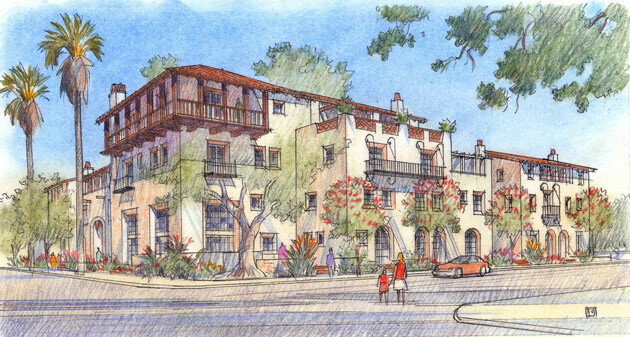 Units located on the upper floors have beautiful views of Ventura’s historic downtown, the mountains to the north and the coastline to the south.